The human spirit burns with two desires in the 21st century. 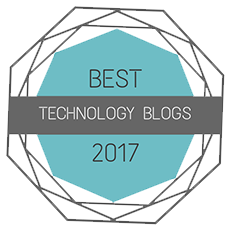 The first is to be rich; the second, of course, to be a robot. 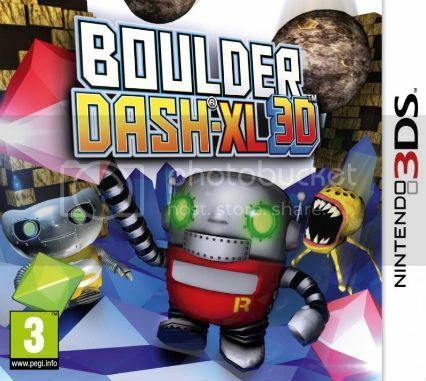 Boulder Dash-XL 3D allows you to live out both fantasies at once, playing as you do a chap robot or lady robot who harvests gigantic diamonds from caves. 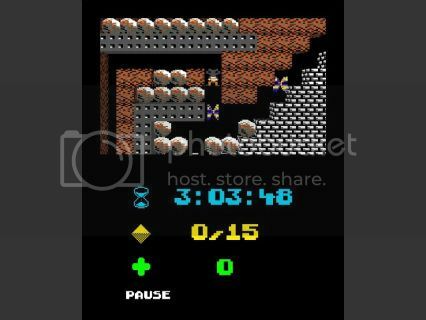 This is not a prettied up version of the eighties Boulder Dash title, but an all-new game. Well, it’s actually a port of the PC/XBLA title (in 3D), but still. At a fundamental level, gameplay hasn’t changed since the 8-bit original. The player is still tasked with moving up, down, left & right, digging through dirt where needed and nabbing the aforementioned diamonds whilst trying hard not to be killed. There’s probably some depressing life analogy in there. Three things will kill you. The first is the inexorable march of time, as most (not all, explained later) stages have time limits; though in all honesty, you’ll usually find you have plenty of time to collect the minimum number of diamonds and find the exit. Secondly you can die from coming into contact with enemies – though inexplicably, some mean instant death while others will just take a chunk off your health bar. Finally, each cave has boulders scattered about, and you must indeed sometimes dash away from them. Stages contain a lot of empty space, but they also contain plenty of dirt. All you need to do to get it out of your way is to walk through it, and each square you touch instantly disappears. It’s not quite so simple as that, of course. Anything said dirt was supporting – a boulder, say – will take to tumbling down the screen until it hits something. Something like a diamond-loving robot, perhaps. Clearing dirt also opens up new routes for enemies wandering around the area and, sometimes, permanently blocks off some of those precious shiny rocks – or the only path leading further into the level. In the standard Arcade mode you’ll fly through the first twenty (of 100) stages or so with little to no trouble; but after that, you’ll find yourself thinking carefully about where to dig and when. Further complications are added as you progress, such as an extendable arm powerup that lets you shift otherwise immoveable boulders and strange machines that turn boulders into diamonds (or vice versa). Nonetheless gameplay remains simple and manageable from start to finish and, restarts aside, each stage can be finished in anything from thirty seconds to three minutes. 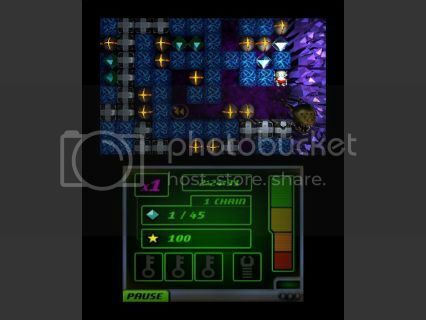 This is partly because there are always more diamonds lying around than are necessary to unlock the exit, but there’s an ineffable desire to grab every last one just to light up the ‘perfect’ bonus on the end-level screen. This does mean that not even 100 stages can last very long, but there are another four game modes to consider. Zen gives you instant access to all 100 Arcade stages with no time limit… and, er, no scoring. Puzzle holds 25 stages, each of which expect you to progress in a very specific way in order to complete them. One wrong move and you’re stuck, forced to restart. Even though there are no time limits these stages do indeed present a challenge, and a nice change of pace from the Arcade levels. The idea behind Score mode, meanwhile, is to collect as many diamonds as you dare (just one is required to open the exit) before time runs out, and before you end up killing or trapping yourself in a panic. An interesting idea, but one rendered utterly pointless by (a) the paltry four stages on offer and, the killer blow, (b) the omission of the online leaderboards featured in the (cheaper) XBLA version. There’s not so much as token StreetPass support. If a pixel dies, quickly start clapping your hands. The final, much more successful mode is Retro. This gives the graphics a charmingly blocky, old-skool lick of paint (which sadly drops the 3D effect altogether) and ramps the difficulty up significantly. For example, even a diamond falling the smallest distance possible will kill you instantly. There are only 25 of these levels, but you’ll likely finish ten Arcade caves in the time it takes you to battle through one Retro cave. This mix of modes helps extend the game’s life, but also can’t help but give the impression that the developers weren’t quite sure what kind of game they wanted to make – so threw in a bit of everything while throwing up solid walls between each idea. With Score and (arguably) Zen being somewhat redundant, it’s a real shame to see that this 3DS version doesn’t carry so much as a single new game mode. Nonetheless, sensibly released at a budget price and mixing a classic gameplay style with new-fangled presentation, it remains respectful of the source material while very much being its own game. Most importantly of all, its own game is one which pushes you to do more than you have to without you quite understanding why; and is all the more infuriatingly enjoyable for it, while it lasts. Played the original and all the various versions throughout the decades….so can’t wait for this latest incarnation…Go Rockford! will this be released in the US? if so, is there a release date? thanks I really want to play this!